The surprise in the Ulster Bank Premier league on Saturday was the defeat of champions Instonians by Carrickfergus. 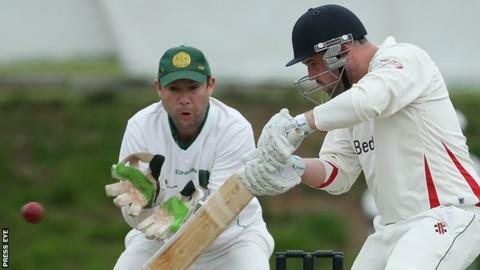 Carrick's five-wicket win boosted their chances of remaining in the top section while Inst's championship hopes have been dashed. Waringstown's defeat of North Down makes them joint leaders with the Comber team with a game in hand. Defeats of the top two teams in the - Coleraine and Brigade - allowed Donemana to come back into the title chase. All teams batting first won. Ardmore won by 72 runs.